A Garden in the Wilderness is the story of the Deans’ first year in Nova Scotia, beginning the day their New York-bound ship is boarded by the British and taken to Halifax Harbour. They learn to deal with the difficulties of pioneer life in remote Upper Musquodoboit including meeting the natives, clearing the land, finding enough to eat and even providing clothes from scratch for a family of ten. Death visits the family and each of them learns to deal with it in their own way. A Garden in the Wilderness is published by Borealis Press, and can be purchased at http://www.borealispress.com Shipping is free in Canada. In Victoria, BC it can be purchased at Ivy’s Books, Cadboro Bay Books, The Well and First-Metropolitan United Church. In Sidney, BC it is available at Tanner’s Books. It can also be borrowed from the Greater Victoria Public Library. These books sound very interesting and exciting. I love books that are placed historically. I’ve read and enjoyed the first three books on my ereader, but I’m very dissapointed that this last part of the Dean family saga is not availabe as an e-book. Can you tell me when it might be available as an e-book. I’m really glad you enjoyed my books. The fourth book was published by a paper-based publisher, borealispress.com. They are, at this moment, working on making it available as an e-book. I will let you know as soon as it is e-published. In the meantime, would you be so kind as to review the books for me on Smashwords. I would really appreciate it. I will be happy to add a review on smashwords. I look forward to reading A Garden In The Wilderness, as so as it becomes available as an a-book. 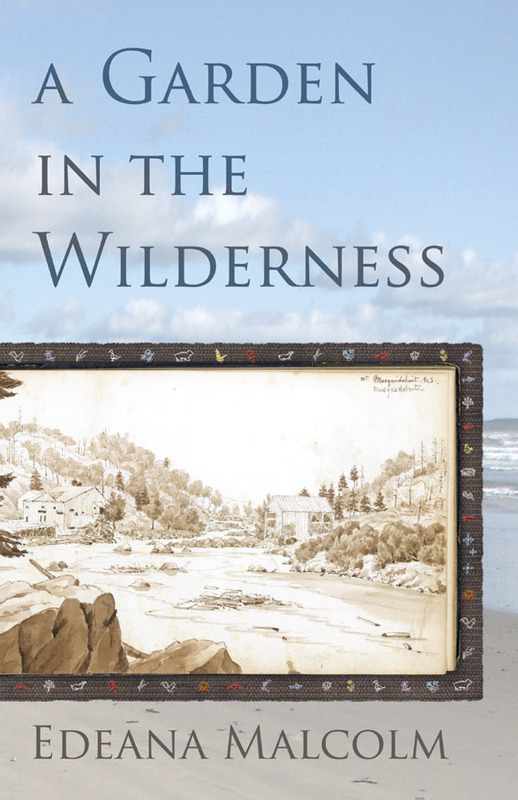 I was thrilled with your book “The Garden In The Wilderness”not only because it is well written but also because it tells the story of “our” Ancesters! I am also a descendant of John and Susan Kirke Dean. I am a descended through their son William.>Adam>Timothy>Agnes>Muriel>me and I am listed in Dr. Matthew Burris’ book “My Pioneer Ancesters”. This summer I had a very enjoyable visit with our cousin Eleanor Dean Hamilton at the old homestead and revisited the Dean Cemetery. It is a beautiful area! Thanks for putting “our” story out there! I am a relative of John and Susan Dean. I am descended thru their son David Kirk Dean / Margaret Archibald/ their daughter Rachel married Robison Nelson and my great grandfather is their son Christopher/ my grandfather is Louis Marston Nelson. Any info on Rachel, Robison and Christopher? I am new to this but have some information left by an Aunt to my grandmother. Thank you for telling our story. I’m sorry I don’t have any information on your branch of the family except for what you just gave me. It’s lots of fun searching your ancestry, though. I hope you enjoy the journey. Thank you for your quick response. We just bought your books so we could read more about our ancestors. .Looking forward to the reading! I sent two books off to you yesterday. They are books 3 and 4 in the series. Have you already read books 1 and 2? I ordered the first two off of amazon and had them sent to my mom in Colorado. Let me know when the other two arrive. I’m curious to know how long it takes. The books arrived on the 17th. Looks like you mailed them on the 12th. I have already started the first one. Looking forward to reading the rest – so are my family members. Thank you!